Our New Jersey lawyers represent businesses and individuals in disputes involving website domain name infringement and trademark infringement. Because of the Internet’s increasing popularity, companies have realized that owning a domain name that is the same as their company name or the name of one of their products can be an extremely valuable part of establishing a strong and successful Internet brand. But sometimes businesses and people seek to exploit a competitor by registering a domain name strikingly similar to the competitor’s website domain or designed to hijack the competitor’s web traffic and sales. 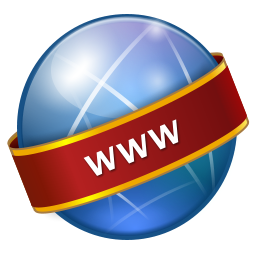 All domain name registrars must follow the Uniform Domain Name Dispute Resolution Policy (often referred to as the “UDRP“). Under the UDRP, most types of trademark-based domain-name disputes must be resolved by agreement, court action, or arbitration before a registrar will cancel, suspend, or transfer a domain name. Disputes alleged to arise from abusive registrations of domain names (for example, cybersquatting) may be addressed by expedited administrative proceedings (i.e., arbitration) that the holder of trademark rights initiates by filing a complaint with an approved dispute-resolution service provider. The Anticybersquatting Consumer Protection Act (“ACPA”), 15 U.S.C. § 1525, makes it illegal for a person to register an internet domain name that is “identical or confusingly similar” to the trademark of another person or company, with the “bad faith” intent to profit from that mark. 15 U.S.C. § 1125(d)(1)(A). The law was designed to thwart “cybersquatters” who register Internet domain names containing trademarks with no intention of creating a legitimate web site, but instead plan to sell the domain name to the trademark owner or a third party or profiting in some other way from the goodwill associated with the trademarks. Under the ACPA, a trademark owner may bring a cause of action against a domain name registrant who (1) has a bad faith intent to profit from the mark and (2) registers, traffics in, or uses a domain name that is (a) identical or confusingly similar to a distinctive mark, or (b) identical or confusingly similar to or dilutive of a famous mark. To “balance the rights given to trademark owners against cybersquatters, the ACPA also provides some protection to domain name registrants against overreaching trademark owners, and allows domain name registrants to commence an action to declare that the domain name registration or use is not unlawful. Need legal help with a domain name dispute that is harming your business or brand? Contact our NJ domain name dispute lawyers today.